Compost Bins – what exactly are they? In basic terms, compost is decomposed plant and waste materials that are gathered and broken down to be used as a fertilizer in your garden. Indoor and outdoor waste materials are piled up and turned for a about one year before the compost is “ready” to use. Worms help the material break down even further. 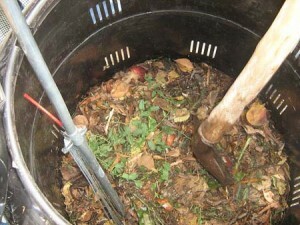 With so many of us moving to more organic gardening techniques, having compost bins is a must. You can simply choose a square in your yard to start your compost pile, but to keep it tidy and not an eyesoar, your best bet is to contain your compost in some sort of compost bins. There are commercial compost bins that you can purchase, but it is just as easy (and less expensive!) to simply make your own! Check out the EPA’s Website for a full list of what you can use in your compost bins and more importantly, what you don’t want to add. 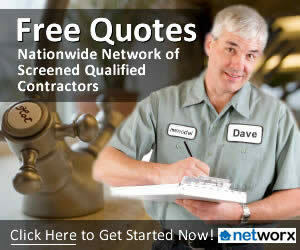 Attach your platform to the bottom of the trash can, being careful not to cover the holes you have already drilled. After several months of collecting and turning the items in your compost bins, you will start to see a rich, dark soil form and you can start using it. If you don’t see worms within the soil, you might think about digging some up from another place in your yard and putting them in the compost bins. They help with the breakdown of the materials. As you can see, it isn’t that difficult to build compost bins and they will provide the best soil you can imagine! For more tips, please visit the Lawn and Garden section of our website! Do you have any ideas for Compost Bins?